The native form of this personal name is Leong Kah-kit Alan. This article uses the Western name order. 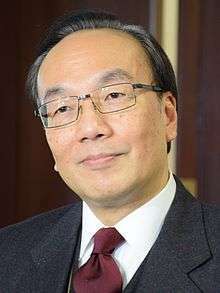 Alan Leong Kah-kit (Chinese: 梁家傑; born 22 February 1958), SC is a former member of the Hong Kong Legislative Council, representing the Kowloon East geographical constituency and leader of the Civic Party. He is also vice-chairperson of the Independent Police Complaints Council. 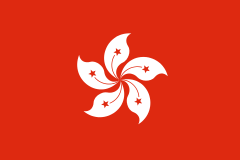 In January 2010, Leong and other four lawmakers, Albert Chan, Tanya Chan, Leung Kwok-hung and Wong Yuk-man resigned their seats to force by-elections, in which they all stood, which they called on to be treated as a referendum to press the Chinese Central Government into allowing universal suffrage in Hong Kong. On 16 May 2010, he was re-elected as a lawmaker in the by-election. Leong is married with three children. ↑ "Civic Party elects new leader, chairman". RTHK. 8 January 2011. Retrieved 8 January 2011. ↑ "Hong Kong MPs quit in attempt to push Beijing towards direct elections". the Guardian. Wikimedia Commons has media related to Leong Kah-kit, Alan.